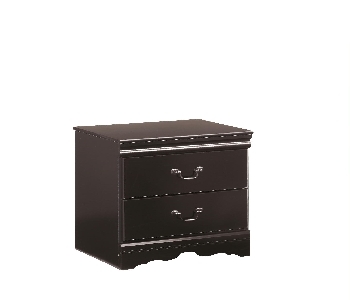 With sophisticated style and a dark finish, the Huey Vineyard bedroom collection is sure to enhance your bedroom decor with a rich traditional design that offers a warm comfortable atmosphere. 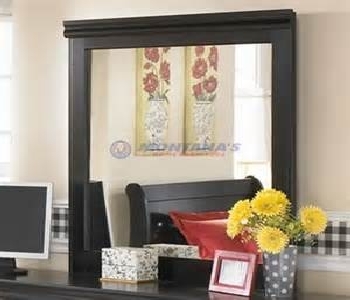 The trendy replicated black paint finish beautifully bathes the stylish curved footboard and shapely rails and moulding in a smooth beauty that perfectly captures the rich traditional style. 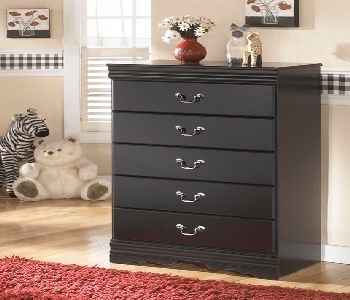 With the antique pewter color metal hardware perfectly complementing the Louis Philippe style, this collection fits comfortably into any bedroom decor. 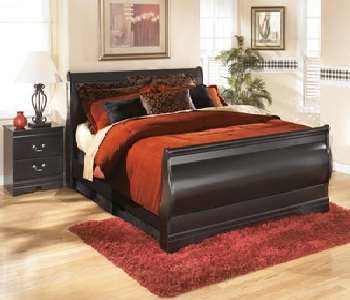 Enhance the style of any bedroom with the rich traditional beauty of the Huey Vineyard bedroom collection.